During his first one-on-one meeting with President Xi at the Hubei Provincial Museum, PM Modi told his host that this was his second visit to Hubei province, surprising the Chinese officials, who otherwise keep a track of all bilateral and official visits minutely. New Delhi: For once the Chinese officials were caught napping by none other than Prime Minister Narendra Modi during his informal summit with President Xi Jinping in Wuhan, China's Ambassador to India Luo Zhaohui revealed. During his first one-on-one meeting with President Xi at the Hubei Provincial Museum, Prime Minister Modi told his host that this was his second visit to Hubei province, surprising the Chinese officials, who otherwise keep a track of all bilateral and official visits minutely. 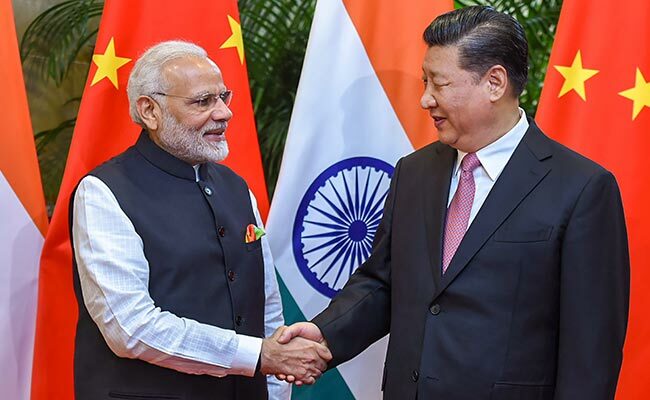 "We didn't know that Prime Minister Modi had visited Wuhan earlier," Luo told the participants of a seminar on the two-day informal summit between the leaders of India and China held in Wuhan city from April 27. "The speed with which you constructed this dam and its scale inspired me. So I came on a study tour and spent a day at the dam," PM Modi had told Xi. As the world's largest hydropower project, the Three Gorges project is a multifunctional water control system on the mighty Yangtze river. It comprises a dam stretching 2,309 meters long and 185 meters high, 32 hydropower turbo-generators, a five-tier ship lock and ship lift system. Mr Luo said China took special care to provide an enabling and comfortable environment for Prime Minister Modi in Wuhan, with the ambassador himself carrying with him table clothes from Gujarat and Assam tea for the visiting dignitary. While sharing some of the efforts made by the Chinese leadership to make Prime Minister Modi feel at home in the central Chinese city, over 1,000 km from Beijing, Mr Luo said President Xi has met the Indian premier 13 times in the last five years of his first term. Mr Luo said Chinese officials came to know that Prime Minister Modi liked table clothes from Gujarat. "So we decided to use them during the informal summit." "We didn't serve Chinese tea to Prime Minister Modi but Assam tea," he said. During the summit, the two leaders agreed to build on the rich cultures of the two great oriental civilisations and harness the rich human resources of their combined population of 2.6 billion. President Xi and Prime Minister Modi agreed to step up cultural exchanges by promoting people-to-people links and unleashing the vitality of the two emerging economies. For this, the two sides have agreed to establish a high-level cultural and people-to-people exchange mechanism, the envoy said.